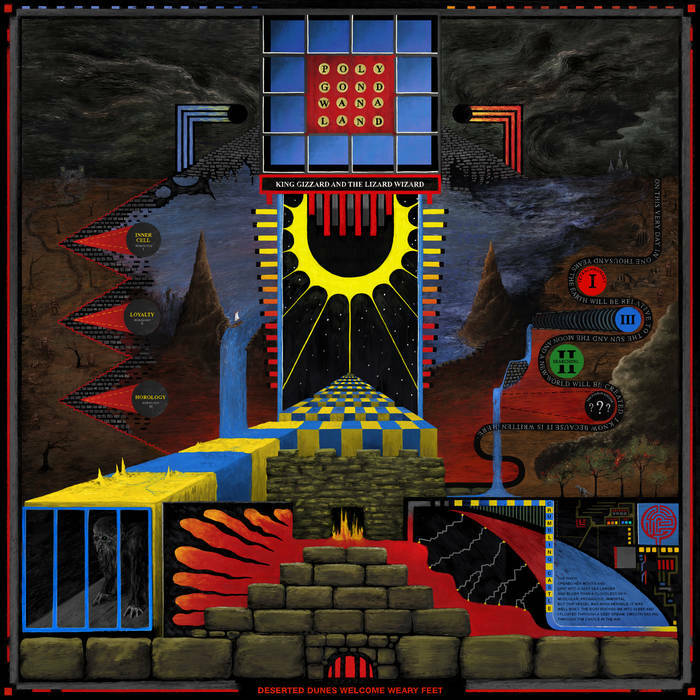 King Gizzard and the Lizard Wizard: New Album "Polygondwanaland"
King Gizzard and the Lizard Wizard is back with their fourth of five albums they have promised to release this year, “Polygondwanaland”. King Gizzard is giving their fans the option to download the album for FREE from their bandcamp and they are even encouraging fans to burn CDs, make tapes, and even make records with their download. The band even goes as far as including detailed instructions on their Instagram about how to transfer the download onto CDs, tapes, and records. While King Gizzard has taken some crazy risks this year they seem to be returning to their psyc-prog-rock roots. They bounced all around this year, experimenting with microtonal tuning on “Flying Microtonal Banana”, then they dove headfirst into the doom metal world with spoken word narrative on “Murder of the Universe”, and they tried their hand at airy jazz on “Sketches of Brunswick East”. Now on “Polygondwanaland” King Gizzard is returning to their classic experimental psych-rock sound that their fans know and love. “Polygondwanaland” takes the listener to an alien digital arcade world and gives them a grand tour of the world. In classic King Gizz fashion this album seamlessly switches from one song to another, handing the momentum from the last song on to the next. The band brings out their many genres in turns on different songs, some leaning more towards prog-rock, or psych-rock, or experimental, or even dungeon rock. “Polygondwanaland” is not the most exciting release from King Gizzard this year but it is a great album that is returning the band to their classic sound after such an experimental year and I highly recommend you download it and make your own physical copy!